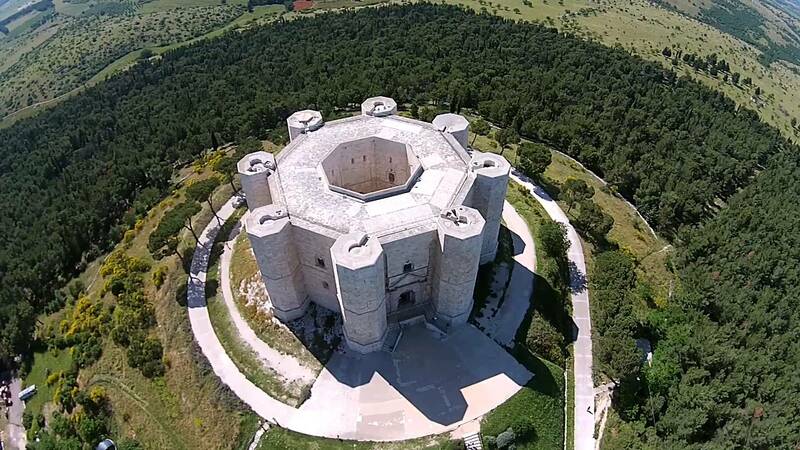 Recognized as a World Heritage Site in 1996, Castel del Monte is a brilliant example of Medieval architecture, located on a hill in the Murge area, just a few miles from the city of Andria. 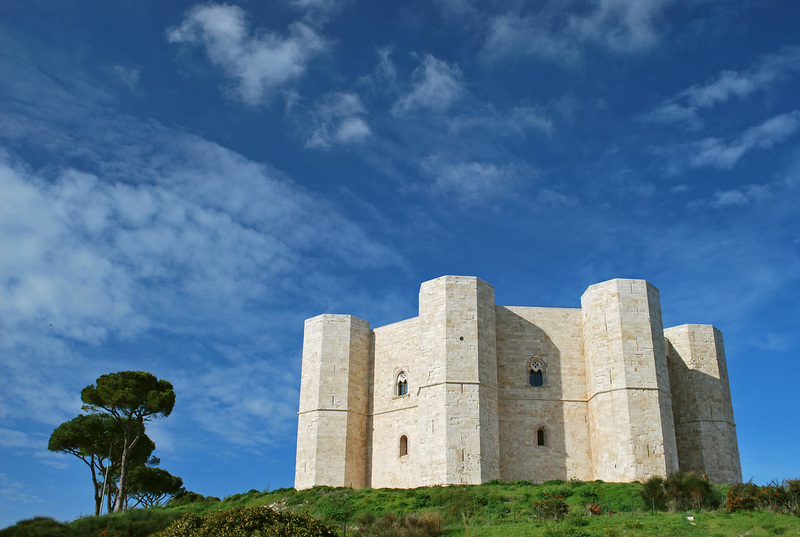 Commissioned by the eclectic and cultured Frederick II, Duke of Swabia, the Castle is an exceptional work for the perfection of its forms and the fusion of cultural elements from different periods and places. 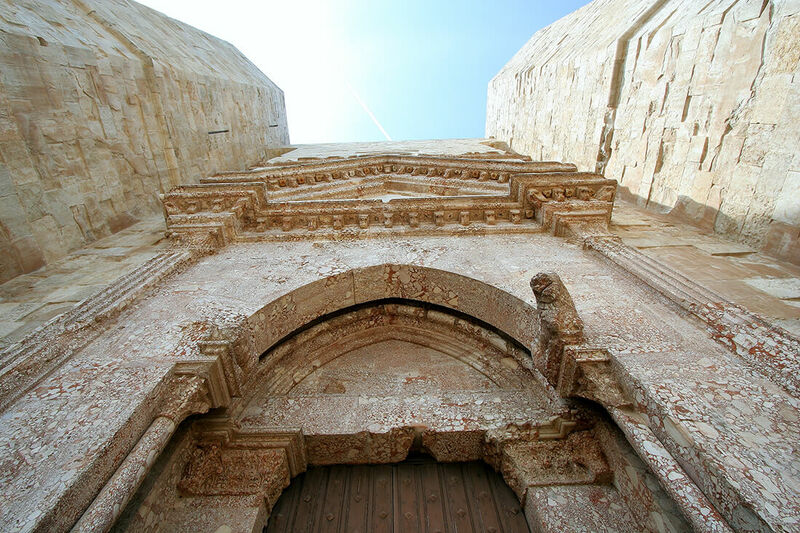 The lions placed at the monumental entrance are typical of Romanesque art, while the friezes that decorate some parts of the castle belie Classical inspiration. And the floor's design and materials are in part reminiscent of Islamic art. It is interesting to know that the number 8 is the principal factor in the castle's plan: 8 are the sides of the castle's plan, 8 are the rooms of the ground floor and first floor arranged in order to form an octagon, and the same goes for the massive octagonal towers. It is still not clear what led Frederick II to build this brilliant piece of architecture. An air of mystery surrounds it and is thus the fount of many legends and of the charm of this unique place.